The Conference4me smartphone app provides you with the most comfortable tool for planning your participation in ICCS 2017. Browse the complete programme directly from your phone or tablet and create your very own agenda on the fly. The app is available for Android, iOS, Windows Phone devices. 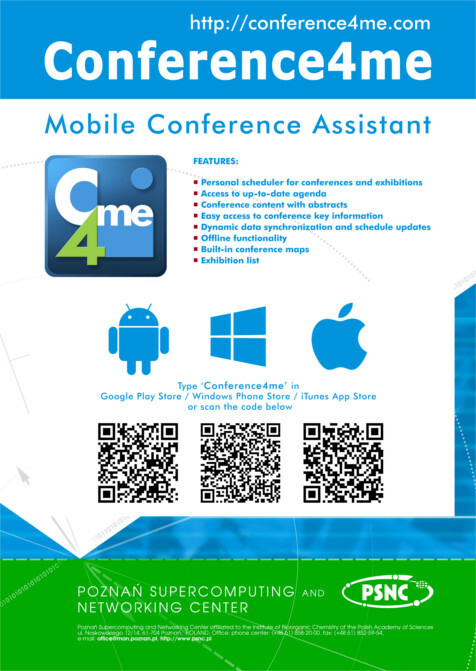 To download the mobile app, please visit http://conference4me.eu/download or type ‘conference4me’ in Google Play, iTunes App Store or Windows Phone Store.